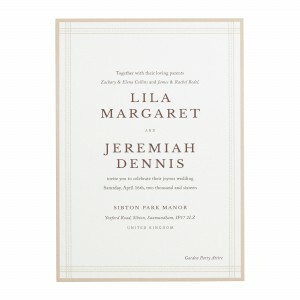 The Lila Invitation is classic and simple, framed by a full-bleed border with delicate intersecting borders within. Different typography is intermixed with finesse, with emphasis on the couple's names. 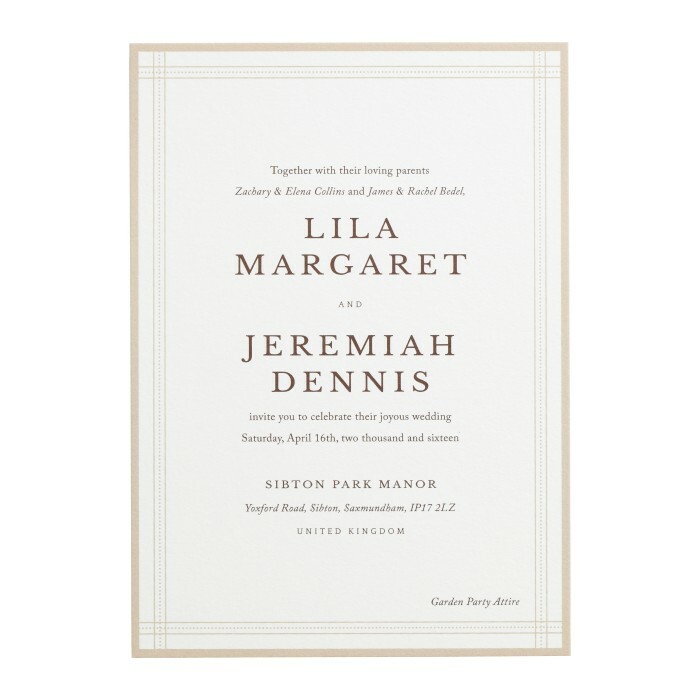 The piece is flat printed single-sided on luxuriously thick cover stock with a subtle eggshell textured finish.